Understanding the dynamics of abuse is an important part of recognizing and taking back the power that the abuser has stolen from you! Abuse consist of more than black eyes and bruises. Although this is what is thought of when abuse is mentioned, in reality, domestic violence can consist of physical, sexual, psychological and economical. 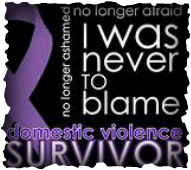 Domestic violence is a pattern of abuse that happens repeatedly, not just an isolated event. Below are tactics that the abuser uses to keep the victim within their power and control. The batterer will keep you from family and friends, telling you that " they just want to be with you all the time", or "you should be spending time with them." They want to control your time and isolate you from your support system so you are more dependent on them. They may take away cell phones, monitor emails, have to know everywhere you go and who your with. The batterer can use the children to harm you. They may punish them as a way to hurt you or sexually abuse the children or allow them to watch as the batterer abuses you. They may put the children in the middle by having them spy on you and report to them your actions. They can take the children or gain legal custody or use custody visitations to harass you. The batterer can take the relationships you have with others in the community, with friends or family and discredit you, spread rumors about you, put you down so that you feel further alienated. The abuser may destroy property, destroy your personal property, or throw objects at you and then blame you for "making him do that" or tell you that "your next." They may even harm pets that they know you love just to hurt you. If you have decided to leave your partner, they may harass, threaten or follow you. They may try to track your daily activities, emails, phone calls to monitor your whereabouts. If these tactics sound very familiar to your situation, you may want to re-evaluate your relationship. For further help give us a call at 660-269-8111.